This is good for getting a sense of some of the events in education leading up to the 2011 legislative session that brought massive cuts to public education. Amid the furor over the decision by Gov. Rick Perry not to pursue federal education grant funding under the Race to the Top competition, we need to remember that there is plenty of work to be done in Texas by Texans to properly implement new breakthrough legislation passed by the 82nd Texas Legislature as well as other pending enhancements to student achievement, without the burden of more federal guidelines. So let's take stock of what we've accomplished lately and what's next in public-education reform in Texas. First, our organization, the Texas Institute for Education Reform, made good progress on its objectives during the 2009 legislative session. The centerpiece of the work of TIER and our coalition, the Texas Coalition for a Competitive Workforce, was House Bill 3, a hard-fought overhaul of the Texas school accountability system. The bill was more than 200 pages in length, and there are many moving parts, but the major breakthrough from which all else flows is that for the first time in Texas a high school diploma at the recommended curriculum level will represent “post-secondary readiness,” defined as a melding of college and 21st-century career readiness without the need for remediation. Second, this may appear elemental, but it is big. What follows is that from this graduation standard there will be benchmarked standards at every grade level, assessments that are vertically scaled so that we can track each student's pathway toward the ultimate exit standard, and accountability on the part of educators for student progress along the “ramp” to this post-secondary readiness objective. • • Working closely with the Texas Education Agency, the commissioner of education, the State Board of Education and other appropriate officials to ensure that the discretionary aspects of the reforms embodied in HB 3 are implemented in accordance with our recommendations and legislative intent. • • Assisting the appropriate officials in their work to upgrade the state's education data systems in order to provide the necessary infrastructure to accommodate the enhanced accountability system. • • Assisting the TEA in developing more rigorous and relevant career and technology courses that will improve the options for students who choose to pursue a high school pathway to industry or commercial certification. • • We will work closely with the Texas Charter Schools Association to develop policy to strengthen charter schools as competitive alternatives by closing ineffective charters, providing equitable funding for successful charters and increasing or eliminating the cap on charters. • • We will continue to advocate for measures that enhance educator quality, partly through implementation of new legislation and partly through working with the TEA, the State Board for Educator Certification and the Texas Higher Education Coordinating Board to develop rules that will lower barriers to entry; more properly evaluate and compensate teacher effectiveness; assess and improve teacher preparation and professional development programs; identify, remediate or remove ineffective educators; and improve the quality of campus leadership. • • We will be actively engaged as a policy resource on such interim legislative study issues as expansion of prekindergarten and public school finance. If all this seems ambitious, it is. But we must pursue these policy deliberations and enhancements with all deliberate speed, and we cannot delay them any longer, because to do so would be a disservice to our kids and our future. And while all this is proceeding at the state policy level, there is an important point to note about federal initiatives. The thrust of the majority of public-education policy pronouncements of the secretary of education are consistent with TIER's objectives, and the administration should be applauded for adding its voice and encouragement in support of states that are working to improve their standards. This is a never-ending battle, and we must win. It's the civil rights campaign of the 21st century. Windham is chairman of the Texas Institute for Education Reform (www.texaseducationreform.org). In his State of the Union address, President Obama held out the hope of overhauling the main law outlining the federal role in public schools, a sprawling 45-year-old statute that dates to the Johnson administration. But experts say it would be a heavy lift for the administration to get the job done this year because the law has produced so much discord, there is so little time and there are so many competing priorities. In 2001, when Congress completed the law’s most recent rewrite, the effort took a full year, and the bipartisan consensus that made that possible has long since shattered. Today there is wide agreement that the law needs an overhaul, but not on how to fix its flaws. Since it was recast into its current form by the second Bush administration — and renamed No Child Left Behind — it has generated frequent, divisive debate, partly because it requires schools to administer far more standardized tests and because it labels schools that fail to make progress fast enough each year as “needing improvement.” That category that draws penalties and has grown to include more than 30,000 schools. Several states sued the Bush administration over the law in the last decade, unsuccessfully. Connecticut challenged its financing provisions, saying it imposed costly demands without providing adequate financing. Arizona fought rules on the testing of immigrant students. During the 2008 campaign and his first year in office, President Obama’s posture was popular with almost everyone: the law embodies worthwhile goals like narrowing the achievement gap between minority and white students, he said, but includes flawed provisions that need fixing. Once any rewrite begins in earnest, however, Mr. Obama will need to support specific changes that will be unpopular with at least some groups. “Few subjects divide educators more intensely,” Secretary of Education Arne Duncan said in a speech about the law in September. In that speech, Mr. Duncan leveled some of his own criticisms of the law, including that it labeled schools as failures even when they were making real progress, and that it often inadvertently provided incentives for states to lower academic standards to avoid sanctions. He said he was eager to begin a rewrite. “This work is as urgent as it is important.” Mr. Duncan said. Mr. Obama communicated a lower sense of urgency on Wednesday, perhaps because the administration’s legislative agenda for the year is already packed. “I want a jobs bill on my desk without delay,” the president said. Mr. Duncan said in an interview on Thursday that key lawmakers “share our sense of urgency” about the need for an immediate rewrite, and were already pitching in. Last week Mr. Duncan and more than a dozen other administration officials met with the Democratic chairmen and ranking Republican members of the education committees in both houses of Congress to discuss the rewrite of the law, first drafted in 1965 as the Elementary and Secondary Education Act. Changes in the Congressional leadership could complicate the effort. The death of Senator Edward M. Kennedy, who worked closely with President George W. Bush in 2001, removed a passionate believer in the law. Senator Tom Harkin, the Iowa Democrat who replaced Mr. Kennedy as chairman of the Senate education committee, has other priorities. He wants to continue the law’s focus on closing achievement gaps, but to include an emphasis on school nutrition and physical fitness programs. “We also need to take a new approach to things that are not working, like using the same solutions for all school problems,” Mr. Harkin said. Some Republicans, including Representative John Kline, the Minnesotan who is the ranking minority member of the House education committee, say they want changes to the law, but are in no hurry. “The odds of getting a full-dress reauthorization done between now and August are very, very slender,” Mr. Finn said in an interview. We mourn the death but celebrate the life of Howard Zinn. May God bless his family. Anyone who believes that the United States is immune to radical politics never attended a lecture by Howard Zinn. The rooms would be packed to the rafters, as entire families, black, white and brown, would arrive to hear their own history made humorous as well as heroic. "What matters is not who's sitting in the White House. What matters is who's sitting in!" he would say with a mischievous grin. After this casual suggestion of civil disobedience, the crowd would burst into laughter and applause. And of course, when he spoke about history, it was from the perspective of having written A People's History of the United States, a book that has sold more than two million copies and changed the lives of countless people. Count me among them. When I was 17 and picked up a dog-eared copy of Zinn's book, I thought history was about learning that the Magna Carta was signed in 1215. I couldn't tell you what the Magna Carta was, but I knew it was signed in 1215. Howard took this history of great men in powdered wigs and turned it on its pompous head. In Howard's book, the central actors were the runaway slaves, the labor radicals, the masses and the misfits. It was history writ by Robin Hood, speaking to a desire so many share: to actually make history instead of being history's victim. His book came alive in December with the debut of The People Speak on the History Channel as actors, musicians, and poets, brought Zinn's book alive. Howard was asked once whether his praise of dissent and protest was divisive. He answered beautifully: "Yes, dissent and protest are divisive, but in a good way, because they represent accurately the real divisions in society. Those divisions exist - the rich, the poor - whether there is dissent or not, but when there is no dissent, there is no change. The dissent has the possibility not of ending the division in society, but of changing the reality of the division. Changing the balance of power on behalf of the poor and the oppressed." Words like this made Howard my hero. I never thought we would also become friends. But through our mutual cohort, Anthony Arnove, Howard read my sports writing and then gave his blessing to a book project we called A People's History of Sports in the United States. We also did a series of meetings together where I would interview Howard on stage. Even at 87, he still had his sharp wit, strong voice, and matinee-idol white hair. But his body had become frail. Despite this physical weakness, Howard would stay and sign hundreds of books until his hand would shake with the effort. At our event in Madison, Wisconsin, Howard issued a challenge to the audience. He said, "Our job as citizens is to honestly assess what Obama is doing. Not measured just against Bush, because against Bush, everybody looks good. But look honestly at what Obama's doing and act as engaged and vigorous citizens." "Let's talk about socialism. Š I think it's very important to bring back the idea of socialism into the national discussion to where it was at the turn of the [last] century before the Soviet Union gave it a bad name. Socialism had a good name in this country. Socialism had Eugene Debs. It had Clarence Darrow. It had Mother Jones. It had Emma Goldman. It had several million people reading socialist newspapers around the countryŠ Socialism basically said, hey, let's have a kinder, gentler society. Let's share things. Let's have an economic system that produces things not because they're profitable for some corporation, but produces things that people need. People should not be retreating from the word socialism because you have to go beyond capitalism." Howard Zinn taught millions of us a simple lesson: Agitate. Agitate. Agitate. But never lose your sense of humor in the process. It's a beautiful legacy and however much it hurts to lose him, we should strive to build on Howard's work and go out and make some history. The perplexing college gender gap in which 57 percent of all U.S.
ground on Hispanic women, according to a new study. steady since 2003. However, among Hispanics, it has grown even wider. women surveyed had obtained a bachelor's degree. population growth or immigration will have to slow." researchers say. Over time, it grew and grew. the nation's college student population. Today, those figures remain. The American Council on Education and the College Board have produced a new paper on major developments and trends in the area of access and diversity in higher education. "A 21st-Century Imperative: Promoting Access and Diversity in Higher Education," discusses the connection between diversity and positive educational outcomes, the issue of merit, and the expanded definition of diversity. Accompanying the policy paper is the Access and Diversity Toolkit for Higher Education Professionals, developed by the College Board to help facilitate constructive campus-based dialogues and policy discussions. This is bad news about teen pregnancy rates in Texas from the Guttmacher Institute. Read on [pdf]. AUSTIN – Texas high school students will have to learn about leading conservative groups from the 1980s and 1990s – but not about liberal or minority-rights groups – under U.S. history standards tentatively adopted by a politically divided State Board of Education on Friday. The Republican majority on the board also gave a thumbs down to requiring history teachers and textbooks to provide coverage on the late Sen. Edward Kennedy and new Supreme Court Justice Sonia Sotomayor , as well as leading Hispanic civil-rights groups such as LULAC and the Mexican American Legal Defense and Education Fund . Led by the board's social-conservative bloc, Republicans left Democrat Hillary Rodham Clinton and former U.S. Supreme Court Justice Thurgood Marshall , the nation's first black justice, on the list of important figures that will have to be covered in history classes. But they also added, on a 7-6 vote, Eagle Forum founder Phyllis Schlafly , the National Rifle Association , Moral Majority and the Heritage Foundation to the list of persons and groups that students will learn about. Board member Don McLeroy, R-College Station, offered the amendment requiring coverage of "key organizations and individuals of the conservative resurgence of the 1980s and 1990s." McLeroy said he offered the proposal because the history standards were already "rife with leftist political periods and events – the populists, the progressives, the New Deal and the Great Society." Those were among the long list of changes to proposed social studies standards for Texas schools that were considered over several hours Thursday and Friday. Late Friday afternoon, after finding themselves unable to work through a long list of amendments, board members unanimously agreed to suspend debate on the standards until March, when they will take up other social studies subjects such as government and geography. In addition, several additional amendments to the U.S. history standards were left pending. Curriculum standards adopted by the board will remain in place for the next decade, dictating what is taught in government, history and other social studies classes in all elementary and secondary schools. The standards also will be used to write textbooks and develop state tests for students. Social conservatives lost some key battles Friday as other Republicans and Democrats joined to kill a few of their proposals. One of those turned back would have eliminated hip-hop music from history standards dealing with U.S. culture and replaced it with country music. McLeroy and other social conservatives said hip-hop was inappropriate for history classes, and one member suggested it encourages anti-social behavior. Board member Mavis Knight, D-Dallas, however, retorted that hip-hop has "impacted our society whether we like it or not. So since it's there, we may as well talk about the positive aspects of it." In the end, the proposal was killed on a 7-7 vote and hip-hop stayed in, along with rock 'n' roll, Tin Pan Alley, the Beat Generation and the Chicano Mural Movement as "significant examples" of cultural movements in the U.S.
McLeroy was successful with another of his noteworthy amendments: to include documents that supported Cold War-era Sen. Joseph McCarthy and his contention that the U.S. government was infiltrated with Communists in the 1950s. Labor leader César Chávez and Supreme Court Justice Thurgood Marshall: Experts appointed by socially conservative board members recommended that both names be stricken from the standards, but the board opted to leave them in. Christmas: A curriculum-writing team dropped Christmas from a list of important religious holidays in a world cultures course, but the board ordered Christmas put back in. Conservative groups: The board voted to require that U.S. history students learn about leading conservative individuals and groups from the 1980s and '90s, but not about liberal groups. Religion in U.S. history: Social conservatives sought to require that students learn about "religious revivals" as among the major events leading up to the American Revolution. That was narrowly rejected. McCarthyism: Social conservatives pushed through an amendment that will require a more positive portrayal of Joseph McCarthy and his accusations that the U.S. government in the 1950s was infiltrated by Communists. McCarthy's tactics have been discredited by most historians. Many thanks to Advocates for Children for their continuing leadership in articulating and advocating for the best interests of English Language Learners as well as students with special education needs and students who are homeless. provides a much needed critique of Mayor Bloomberg and Schools Chancellor Klein's "aggressive policy of school closure, which appears to target schools that, as a group, serve disproportionately large numbers of the city’s most at-risk students. A number of the schools – such as Jamaica High School, Columbus, Norman Thomas, and Global Enterprises – have a strikingly high percentage of English Language Learners." AFC further states: "These disparities would be less troubling if we knew that the students with disabilities, English Language Learners, and other at-risk populations in schools previously closed had actually benefited from the closures, but we have seen little evidence of actual benefit to these students. Finally, "To ensure that the closings do not prompt schools to discharge at-risk students illegally, AFC calls upon the DOE to make discharge and transfer data for all closing schools publicly available during and after the phase-out process. The data should be broken down by discharge code and tied to demographic information, including race, ethnicity, gender, disability, and English Language Learner status." Please share this statement with your networks and let city and state officials know that you agree. January 22, 2010. The following is a statement by Advocates for Children of New York, Inc. in response to the New York City Department of Education’s proposal to close twenty additional schools. We believe that all of New York City’s children deserve excellent public schools. Too many of our city’s schools continue to fail our students. We need ambitious and creative school reform strategies to raise the quality of education for all children in the system, including those students who present the greatest challenges. What we do not need, however, are reform strategies that leave the most vulnerable students behind or place additional hurdles in their path to graduation. Under the leadership of Mayor Bloomberg and Chancellor Klein, the New York City Department of Education (DOE) has pursued an aggressive policy of school closure, which appears to target schools that, as a group, serve disproportionately large numbers of the city’s most at-risk students. A number of the schools – such as Jamaica High School, Columbus, Norman Thomas, and Global Enterprises – have a strikingly high percentage of English Language Learners. Moreover, the schools targeted for closing this year have student bodies that are 17.79% students with documented special education needs (compared to 15.46% citywide), and they have a higher percentage of special education students in self-contained special education classes (8.03 % for closing schools, compared to 6.55 % citywide), which would tend to indicate a greater level of educational need. It is also notable that the number of students who are homeless at these schools skyrocketed in the past year. While the number of students who are homeless rose by 21% citywide from 2007-08 to 2008-09, it went up by a remarkable 580% on average at the schools slated to be closed. These disparities would be less troubling if we knew that the students with disabilities, English Language Learners, and other at-risk populations in schools previously closed had actually benefited from the closures, but we have seen little evidence of actual benefit to these students. In fact, in the closing school we studied most closely, we saw at-risk students being pushed to leave high school prematurely for GED programs, which are unlikely to meet their needs. Does a school’s willingness to serve a diverse population with multiple challenges, including students who are less likely to graduate in four years, make it a target for closure? What happens to English Language Learners and students with special education needs when their schools are closed? How will the DOE monitor the impact of the closings on these populations? To ensure that the closings do not prompt schools to discharge at-risk students illegally, AFC calls upon the DOE to make discharge and transfer data for all closing schools publicly available during and after the phase-out process. The data should be broken down by discharge code and tied to demographic information, including race, ethnicity, gender, disability, and English Language Learner status. The DOE typically takes three years to phase out a school, which suggests that students currently enrolled can remain there through graduation. What is the DOE’s plan to make sure that currently enrolled students receive the educational support and opportunity they need to stay in school and ultimately graduate? How does the DOE ensure that students who prefer to leave the closing school are advised of other opportunities? What happens to current students who do not have the skills or the credits to graduate in four years? Staff in closing schools have told us that English Language Learners and students with special education needs have a harder time transferring out. The new, small schools that replace the schools that are closed have rarely offered the bilingual or dual language programs or the range of special education supports and services that the larger schools have provided. What is the DOE doing to increase the supply of attractive high school options for English Language Learners and students with the broad range of special education needs? With respect to students who are homeless, they often struggle with having to change schools multiple times, and the last thing they need is more instability. What is the DOE doing to ensure that homeless students are not dumped into doomed institutions but given the educational stability, services, and supports they deserve and desperately need? We agree with the DOE that sometimes, it may be the best course of action to close a school that is failing the majority of its students. However, the decision to close a school has a profound impact on current students, potential students, and students at surrounding schools remaining open. The DOE is responsible for educating each and every one of these students, including those who need the most support. The DOE must assure the public that its aggressive approach to school closing is not inflicting collateral damage on the city’s most vulnerable students. For more than 38 years, Advocates for Children of New York has been serving the most educationally vulnerable students in the New York City public schools and speaking out on their behalf. More information on the organization and its programs is available at www.advocatesforchildren.org . A new professional basketball league boasting rosters made up exclusively of white Americans has its eyes set on Augusta, but the team isn't receiving a warm welcome. Augusta Mayor Deke Copenhaver, who has publicly expressed his support for minor league teams in the past, said he would not do the same for this team. "As a sports enthusiast, I have always supported bringing more sporting activities to Augusta," he said. "However, in this instance I could not support in good conscience bringing in a team that did not fit with the spirit of inclusiveness that I, along with many others, have worked so hard to foster in our city." "It's so absurd, it's funny, but it gives you an idea of the sickness of our society" he said. "It shows you what lengths people will go to just to be mean-spirited. I think at any basketball level, no matter if it's all black, all white, all Hispanic, all Asian or anyone else, the players should just be a basketball team." The Atlanta-based league, which will operate as a single-entity owning all of its teams, is looking for local contacts to pay $10,000 to become a "licensee" in one of 12 cities throughout the Southeast. Lewis said he has already received threats from people opposed to the roster restrictions and several cities have told him to stay out of town. Lewis said he has yet to hear from any one in Augusta. "We need a local person ingrained into the community to make this successful," he said. Lewis said he expects to eventually find support in every town with a team. "People will come out and support a product they can identify with. I'm the spoken minority right now, but if people will give us a chance, it'll work... The white game of basketball, which is essentially a fundamental game, works." Lewis said he wasn't sure where the team will play. Augusta has had problems with minor league basketball teams in the past, but the issues never centered around race. The Augusta Drive lasted less than a month before folding in 1995, citing financial reasons. The Augusta Groove made it through a full, 20-game schedule in 2009, but accusations from players and local businesses that the team wasn't paying its bills surrounded the team during the second half of the season. The team later shut down in the offseason. The All-American Basketball Alliance really misses segregation. So they're bringing it back on the courts. No, it's not enough to have one pure white parent. Nope, sorry, if there's a bit of off-white blood in your heritage, you're not allowed. Better bring proof of your family tree, just in case. Immigrant? Don't even try it. Those citizenship papers and that oath you took won't protect you from discrimination here. I love how "All-American" is used as code for racist, nativist intolerance. Of course, Don "Moose" Lewis, the league's commissioner, says that this isn't about hatred, and he's certainly not a racist! However, he says that, since players in those nasty integrated leagues grab their crotches and attack fans -- oh, and bring guns -- the only solution that will allow a return to civilized "fundamental basketball" is to keep people of color and immigrants out. Because you know how "those people" can really spoil a nice set-up. News of this league first hit the public eye as a result of push back in Augusta, Georgia, where the mayor has already made it clear to journalists that this kind of intolerance isn't welcome in his neck of the woods. Besides Augusta, the AABA already has a few special cities in mind where it might like its dozen planned teams to call home. Tell the mayors of these cities to make a statement that this anti-immigrant, racist league isn't welcome there, either. No news release associated with this report. Tip Sheet only. Latinos, Corporate Power and the Supreme Court By Angelo Falcón Yesterday's Supreme Court decision in the appeal of Citizens United v. Federal Election Commission adds to the already corrupting influence of money on American politics, which is bad news for the Latino community. In a 5-4 split vote the Court lifted the ban against corporation spending money from their own treasuries for political advertisements aired within 30 days of a primary election and 60 days of a general election and lifted restrictions on corporate spending to support or oppose candidates. The majority was composed of justices appointed by Republican Presidents, while the dissenting minority consisted on three appointed by Democratic Presidents and one by a Republican President. By the way, Justice Sotomayor was among the dissenters who, in Justice Steven's opinion, sharply argued that the Court's ruling "threatens to undermine the integrity of elected institutions across the Nation." Along the lines of the criticism of the Court in the Bush v. Gore 2000 decision, some are seeing this as a highly politicized decision. This is spurred by the unusual circumstance of the Court's invitation to hear the case, making it look like a deliberate political set-up by Chief Justice Roberts and the other conservative Justices. As Justice Stevens put it, this resulted in "elevating the majority's agenda over the litigant's submissions." The decision equates the First Amendment rights of corporations to those of individuals, which is highly controversial. While framed as an association of individuals and including nonprofit corporations and unions, the Court's majority clearly ignored the problem of the concentration of corporate power and the fact that corporations have many ways they can express themselves through PACs and other means. It also ignored the growing economic inequality in the US and its negative implications for the value of free speech and a democratic politics. And, as occurred with the health insurance companies in the health care debate, the Court's majority seemed to strangely portray corporations as victims. "While American democracy is imperfect, few outside of the majority of this Court," Justice Stevens concluded, "would have thought its flaws included a dearth of corporate money in politics." The First Amendment was, in other words, treated in overly abstract terms despite the concrete evidence that it shouldn't be. Given the impact of social class on political participation from voting to campaign contributing, this Supreme Court ruling serves to further disadvantage the Latino community in the political process. This includes the problem of the poor representation of Latinos in the decision-making levels of the major corporations that the Supreme Court just further empowered. As the politics of health insurance reform clearly illustrates, corporate influence is disproportionate and debilitating of populist changes, making Latinos highly marginalized politically in these policy debates. For the Latino community, this new situation requires some different thinking about how to hold the corporate sector more accountable to its needs and social policy agenda. It is a challenge that comes amidst charges or suspicions by many that too many of our leaders and organizations are increasingly captives of the big corporations. Who, in this context, is ultimately setting the Latino agenda? The Citizens United ruling is an urgent call to the Latino leadership to critically reassess our community's relationship to corporate power. For a community that is still largely poor and working class, how do we define such a relationship? For a community that represents close to a trillion dollars in buying power, how do we leverage this economic lever and for what? To date, we really haven't come up with adequate answers to these questions. But recent developments tell us that we better start coming up with some, and soon! Angelo Falcón is president of the National Institute for Latino Policy (NiLP) and editor of the Latino Policy eNewsletter. The great promise of the 1954 landmark U. S. Supreme Court decision in Brown v. Board of Education was that children would grow up together in integrated schools. They would prove the segregationists wrong. Black children and white children would learn to respect one another as equals and bring down the walls of racial separation. Through the efforts of our children, our nation would live up to the ideals of equality and justice for all. And, as an added bonus, we’d finally abandon the false notion that separate was equal. Instead we’d make a commitment to provide quality educational opportunities for every child. That’s just not what happened. This issue of Teaching Tolerance uncovers what did happen. The sad truth is that public schools are more racially segregated today than they were 40 year ago. Oh, and we’re back to buying into the belief that separate can be equal — and this time around we’re not limiting segregated space to race. As you’ll see in “Immigrant Schools: A Better Choice? ” and “Homo High ,” communities are attempting to address the very real needs of students who are ill-served by schools they are zoned or otherwise compelled to attend by creating culturally sensitive, safe spaces just for them. Just for them? Yes, that’s segregation, too. But there is a difference. Back in the days of Jim Crow, segregated schools existed solely to support the illogical and dam- aging notion of white supremacy. Though many would argue that black students fared far better academically in the segregated South than they do in any region of the country today, there was a high psychological price to pay. Blacks were deemed inferior to whites and as such we were forbidden from going to school with them. As we know, racial segregation was also the law of the land at restaurants, water fountains and on the bus. In more communities than we’d like to admit, segregation wasn’t just about schools; it was a social norm. Today, the legal rules governing social relationships no longer dictate separateness. Each of us has some say over how we live our lives — and, as parents, how we’ll raise our kids — segregated, integrated or a hybrid combination of the two. As I look back on my own experience as a single parent raising a male child in Los Angeles, I find that we were constantly navigating integrated and segregated spaces. I was committed to doing everything I could to ensure that Daniel had more opportunities than our race and class membership dictated he should. He entered kindergarten with classmates who mirrored him exactly — black and working poor. His high school graduating class was small, marginally diverse and relatively privileged. All along the way, we lived and socialized with folks who looked just like us. As he got older, I considered moving out of the neighborhood. Not that I didn’t feel safe; I did. I grew up in East Oakland and was not easily frightened by folks who looked like me. My experiences interacting with the teachers and administrators at the magnet school on the Westside left me feeling less than — and at the time, I was a 5th-grade teacher in South Central. I had to take Daniel out of that school before he began to internalize their biases. Thus began the improbable journey — through too many schools, in search of a quality education. Today, my son and I have an unshakeable appreciation for who we are and where we came from. We live naturally integrated lives and wouldn’t have it any other way. Coalition for Public Education/Coalición por la Educación Pública Has Updated Its Blog! On Thursday afternoon- January, 28, 2010, a group of about 300 teachers, students, parents, and supporters demonstrated in front of Mayor Bloomberg's home on 79th Street to protest his decision to close twenty public schools for having "failed" to improve student test scores sufficiently. In a press release, Julie Cavanagh, a teacher at PS 15 in Brooklyn, who, along with Norman Siegel, a First Amendment lawyer, succeeded in obtaining a permit for the demonstration in front of the Mayor's home, accused Mayor Bloomberg of proposing a "radical and destructive educational agenda that would privatize our public school system." Ms. Cavanagh's school building also houses a charter school, PAVE, which, as mentioned in my previous column ("Senator Eric Adams and the Charter School Dilemma http://www.huffingtonpost.com/joel-shatzky/educating-for-democracy-s_b_427174.html is run by Spencer Robinson, son of hedge fund billionaire Julian Robinson. The Mayor and Chancellor should not be making policies to divide, dismantle, and undermine our public schools: instead, they should be providing support and resources so that ALL of our children can be successful. In a democratic society, there should be opportunities for all young people to get as good an education as their initiative and motivation can give them. Those who are less fortunate because of personal circumstances should be afforded the necessary attention to obtain an education that can give them a chance to take their place in our society as productive citizens, able to contribute to it as well as they can. But it seems that the Mayor's approach to public education is to divide groups against each other for needed resources: public versus charter school, an approach that undermines our democratic values. Seung Ok, a teacher at William H. Maxwell High School, a school scheduled for closing, pointed out in an interview that although the Mayor had considered the school too unsatisfactory to remain open, "ninety per cent of the students graduate although not necessarily in four years. Some go on to Ivy League schools and are quite successful." Ok pointed out that because of another school closing several years ago in the same area, the student population at Maxwell expanded rapidly from 900 to 2,000. The necessary resources for the influx of these students, many of whom had special needs, were not forthcoming. As a result, despite all the effort the teachers provided to make up for the new challenges, the school was given an "F" in the Mayor's rating system. Soon after, the parents of the "A-list"--high-achieving--students transferred them to other schools and Maxwell High School will now be closed. Richard McDonald, an 11th grade student at Maxwell, expressed his concern that the vocational courses offered at the school in cosmetology, lens-crafting for eyeglasses, and other specialized skills that would give students opportunities for good-paying jobs will no longer be readily available to public school students since such programs are rare. He felt that the school was being unfairly treated and that now "other kids will have to pay for the education I got for free." Richard, fortunately, will be interning soon at a lens-making establishment which will give him an opportunity to get a decent job. Attending the demonstration to show his support was State Senator Bill Perkins, whose district extends into Harlem. He noted that the area is now "saturated with charter schools, to the disadvantage of public schools when a charter school is pushed into a public school facility." Perkins sees the Mayor's agenda as not only to "privatize the public schools" but other public areas such as sections of Central Park. He also pointed out that there is no conclusive evidence that charter schools produce better results than public schools although they serve to separate school communities into groups rivaling each other for space and resources. Senator Bill Perkins and Richard Barr. "As we remember Martin Luther King, jr., I wonder what he might be thinking as he looks down at what is happening to our schools again: separate and unequal," Senator Parkins observed. Others at the demonstration looked at the impact that these closings are having on teachers. "The closing of the public schools is an effort to break the union," said Angela de Souza, a public school teacher who came in support of the demonstration. She suggested that the most effective way to improve the public schools is to "get rid of segregated housing, poverty and the hopelessness that it breeds." Richard Barr, a supporter whose children attended the public schools, and is Vice President for Political Action in School District 3, was asked what he would have done had his children attended a school with serious disciplinary problems. He replied: "I would have had as my first objective to work together with others to make the school better; not flee from it." Across the street near the Mayor's house, before the demonstration began, middle-school youngsters from a private school were exiting the building at the end of classes. Several were asked: "Do you have to study for a lot of city-wide tests like the public school kids?" They couldn't recall ever having taken one. Later, on the other side of the street, students, teachers and supporters marched up and down 79th St. chanting against the closings, as dozens of policemen stood watch, guarding the Mayor's home from the peaceful demonstrators. Ms. De Souza hopes that instead of relying on the hype created by the Mayor and Chancellor about charter schools, members of the press will go into the public schools and investigate them for themselves, seeing the challenges that many hard-working teachers and serious students face every day. Perhaps then they would be better able to understand what is really happening to Mayor Bloomberg's public school system. Alfred E Smith Students Use HipHop Video to Help Stop School Closing! AES Proposed Phase-Out: Shop Classes put to music by Mark Noakes from Save AES CTE HS on Vimeo . AES Students Know that Art Is a Weapon! This is just another big piece of evidence revealing the brilliance and determination of our youth to struggle to be educated and productive citizens for their community. It is absolutely clear that the BloomKlein Dept of MisEducation (DOME) is not concerned with our youths' desires to be educated and pro-active citizens. As this powerful video implies: it's all about closing budget gaps and profits. We need to continue to find ways to support these creative and heroic students of Alfred E. Smith Career and Technical Education High School (AES) to not only keep their school open, but to force the DOME to provide extra funds (that they squander elsewhere) to assist in improving the educational work developing their by their teachers, staff and administrators. Further, the DOME should find ways to replicate AES's educational successes in other parts of the city. Close the DOME! Not our Schools! Human Rights and Public Education: A Local and International Concern! The Foundation of the Coalition for Public Education/Coalición por la Educación Pública is that Education is a Human Right! What does "Education is a Human Right" mean? Local school systems and state and federal governments are responsible for guaranteeing the human right to education for every child. There are many human rights standards and principles that must be guaranteed in order to fulfill the right to education. Financial concerns, from paying for college to job prospects, dominated the new-student experience in 2009, according to an annual survey on freshman attitudes. About two-thirds of freshmen said they were either somewhat or very worried about their ability to finance their college educations. Those citing "some" concerns about money increased about two percentage points, to 55.4 percent, while students citing "major" concerns remained at 11.3 percent, about the same as in 2008. The survey, The American Freshman: National Norms Fall 2009, is conducted by the Higher Education Research Institute at the University of California at Los Angeles. This was the 44th year of the report, which provides institutions with information about the demographic profile, perceptions, and mind-set of their incoming freshmen classes. The institute's Cooperative Institutional Research Program, which includes the survey, collected data from about 220,000 first-time, full-time freshmen at 297 four-year colleges and universities. The students were surveyed at the beginning of their first semester, a point that ranged from summer to late September. John H. Pryor, director of the survey, said the effects of the economic downturn were spread across the college experience, whether the issue was how to pay for college or what majors and eventual careers to pursue. Some of the students' concerns were driven by family finances. About 78 percent said they planned to pay for their first year of college at least in part from family resources. At the same time, though, more students reported that their parents were out of work. A record-high 4.5 percent of freshmen said their fathers were unemployed. (That rate had long fluctuated between 2 and 3 percent.) The proportion of students saying their mothers were unemployed, which has risen steadily from 5.4 percent in 2006, reached 7.9 percent in 2009. As the proportion of unemployed parents grew, the percentage of students who said they planned to take out loans to help pay for their educations rose to about 53 percent, from 49 percent in 2008. Another possible effect of the economic downturn was the change in the number of students who reported that they would pursue either majors or careers in business. The proportion of students planning to major in business dropped in 2009 to a 35-year low of 14.4 percent, and those with "business career aspirations" fell two percentage points from 2008. "I would speculate that the reason why we see fewer students who are interested in business both as a major and a career is that they have seen a pretty spectacular fail in those areas over the last year," Mr. Pryor said. Though fewer of those surveyed said they planned to pursue business majors and careers, 78 percent of the freshmen said being financially well-off was an important objective, making that the most prevalent goal among incoming freshmen for the second year in a row. In second place was raising a family, which about 75 percent of the students said was very important to them. When it comes to their studies, about 39 percent of freshmen said they would need tutoring while in college. "Looking across all categories, approximately one in five students ... entering a four-year college as a first-year student today has had special tutoring or remedial work in high school," the report says. "Almost twice as many ... believe that they will need special tutoring or remedial work in college." Military veterans may have an acute need for tutoring. Of the 595 freshmen who identified themselves as veterans, about 36 percent said they believed they would need tutoring in mathematics, compared with about 24 percent of all freshmen. Military veterans were tracked by the survey for the first time since 1992, because of the "renewed influx of veterans to college." In extracurricular activities, students' commitment to volunteering seems to remain strong. About 41 percent of freshmen said there was "some chance" they would volunteer or perform community service while in college, and a record-high 31 percent said there was a "very good chance" that they would do so. The community-service question was first asked in 1990, when only about 17 percent of students cited a "very good chance" that they would participate. An Interview with Heather Mc Donald: What ’s G oing on In California? Re: An Interview with Heather Mc Donald: What ’s G oing on In California? Michael F. Shaughnessy Sr. Columnist | An Interview with Heather Mc Donald: What’s Going on In California? An Interview with Heather Mc Donald: What’s Going on In California? 1) First of all, what is currently happening in the State of California? By official tallies, only four percent of California’s English Learners are currently enrolled in bilingual education, compared to 30% before Proposition 227 was passed in 1998. Though bilingual education advocates point to that 30% figure to argue that bilingual education was never a significant part of the educational landscape, that assertion ignores the fact that bilingual education was always concentrated in the elementary schools and was rare in high school. Before Prop. 227, most Spanish-speaking elementary school students were in bilingual programs; today, few are. 2) Could you provide a brief history of Prop 227? Proposition 227 arose out of grass-roots frustration with the failure of California’s Hispanic English Learners to adequately master English under the dominant bilingual ed. regime. In 1996, a group of garment worker parents in downtown Los Angeles asked that their children be taken out of bilingual education and put in English immersion classes, since their children were not learning English. Administrators of the 9th Street Elementary School ignored the parents’ requests, prompting a parent-student boycott of the school. Their boycott caught the attention of Silicon Valley entrepreneur Ron Unz, who bankrolled a ballot initiative that would severely limit bilingual education in California. The entire political establishment in California opposed Prop. 227, as did the teachers union. Though the initiative’s backers were outspent 5 to 1, the measure passed 61 to 39%. After it became law, many school districts tried to evade its mandates, and continued surrounding students with Spanish for a considerable part of the day, or urged parents to request that their children be placed in bilingual education, as the proposition allowed in narrow circumstances. But the school districts that obeyed the letter of the law and eliminated their bilingual programs outperformed the districts that held on to bilingual education, and now many districts are moving towards English immersion on their own accord in order to raise student test scores. 3) There still seems to be an “ achievement gap “ between races and cultures in California, as well as in other parts of the U.S. Is there any way to attribute this gap to instruction, or perhaps poverty, or perhaps some other factor? The achievement gap is exacerbated by the progressive pedagogy that dominates education schools. Progressive education disparages memorization, drilling, repetition, and teacher-directed instruction in favor of student-centered learning. Poor black and Hispanic students most need rigorous academic structure and discipline in their classrooms, because they are rarely being taught to read and count at home. Yet they are denied such academic support because of a misguided disdain for top-down teaching. Different attitudes towards education found among different cultures also contributes to the achievement gap. 4) Is there any data or evidence or empirical support for the premise that teaching students English affects their self-esteem, self-concept or self-worth? There is no evidence that English Learners suffer from low self-esteem if taught in English, though that was one of the primary arguments for bilingual education starting in the 1960s. 5) IF ANY student wants to preserve their culture, what is our society’s responsibility ( if any ) to assist in this process? Society has no responsibility for preserving a students’ home culture; that is the role of his or her parents. 6) What are the teachers unions saying about this entire issue? The teachers unions have stopped fighting English immersion aggressively in California. Efforts to preserve the bilingual ed. regime are more subtle now, focused on testing reading and math skills in Spanish rather than English and on promoting a new version of bilingual ed. known as “dual language” learning. 7) Everyone seems concerned about test scores, and if test scores are the ultimate factor, what do the test scores seem to say? Test scores of English Learners have risen since Prop. 227. In 2003, 10% of English Learners scored in the two top categories on California’s reading and writing test; in 2009, 20% did. On the English proficiency test given to nonnative speakers, the fraction of English learners scoring in the top two categories increased from 25 percent in 2001, when the test was first administered, to 39 percent this year. This rise in test scores is particularly notable, given that school districts can no longer keep their lowest-performing English learners out of the testing process. In 1998, 29 percent of school districts submitted under half of their English learners to the statewide reading and writing test; today, close to 100 percent of the state’s English learners participate. 8) If someone wanted to read your report in it’s entirety, where would your report on this topic be found? My article on California’s bilingual ed. 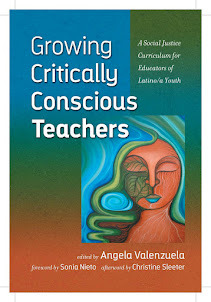 ban can be read at http://www.city-journal.org/2009/19_4_bilingual-education.html. "There has been some good and some bad in Renaissance 2010, but overall it wasn't the game changer that people thought it would be," said Barbara Radner, who heads the Center for Urban Education at DePaul University. "In some ways it has been more harmful than good because all the attention, all the funding, all the hope was directed at Ren10 to the detriment of other effective strategies CPS was developing." Turning around public schools is the core of Daley's efforts to keep the city vibrant. But the outcome of his ambitious education experiment is as important to the nation as it is to Chicago. The architect of Renaissance 2010, former schools CEO Arne Duncan, is now the U.S. Secretary of Education -- and he's taking the Daley-Duncan model national as part of his Race to the Top reform plan. Duncan is using an unprecedented $4.35 billion pot of money to lure states into building education systems that replicate key Ren10 strategies. The grant money will go to states that allow charter schools to flourish and to those that experiment with turning around failing schools -- all part of the Chicago reform. Illinois education officials hope to get a piece of the pie and are preparing an application for Tuesday's deadline. Renaissance 2010 was launched in 2004 after decades of school reforms failed to fix chronically underperforming schools. City leaders promised to close the worst schools and open 100 innovative ones that would rely heavily on the private sector for ideas, funding and management. Central to the plan was an increase in charter schools, which receive tax dollars but are run by private groups free from many bureaucratic constraints. Daley and Duncan credit the program with injecting competition and invigorating a stagnant system and say it has laid a foundation the district can build on. "We haven't looked at all the data, but our belief is that Renaissance 2010 dramatically improved the educational options in communities across Chicago," said Peter Cunningham, Duncan's spokesman, who followed him from Chicago to Washington. "We believe that it is contributing to Chicago's overall success. Renaissance 2010 and Race to the Top both reflect a willingness to be bold, hold yourself to higher standards and push for dramatic change, not incremental change." Cunningham and other supporters argue that many new schools, mainly in low-income and high-crime neighborhoods, are outperforming nearby traditional schools. They say attendance rates, parent satisfaction and student engagement are higher. And they point out that expecting significant gains from startup schools is unrealistic. On Saturday, Daley said the program will yield measurable results, but that it will take time. "I'll accept any criticism, and any adjustment of it, we'll look at it," Daley said. There have been some bright spots. Most of the elementary schools overhauled by the Academy for Urban School Leadership, which changes the school staff but leaves the students in place, are outperforming their previous selves. The Noble Street charter schools, which operate in some of the toughest neighborhoods, have college-going rates that even suburban schools would envy. And innovation has flourished, as the city's first all-boys public high school, Urban Prep, opened in Englewood, and the Chicago Virtual Charter School went online. The business community embraced the reform agenda and has ponied up $50 million to the Renaissance Schools Fund, a nonprofit created by the Civic Committee of the Commercial Club of Chicago. The group has awarded about $30 million to 63 new schools. Currently, 92 Renaissance 2010 schools enroll 34,000 children -- about 8 percent of the district total. Seven new schools will open in the fall, and the city plans to announce new school closings within the next few weeks. The new schools mirror the district demographically, except they enroll fewer special education students and those who speak English as a second language. Chicago school officials don't publicly track the performance of the Renaissance 2010 schools. But Ron Huberman, who took the helm of the city schools when Duncan left, said he has crunched the numbers and about one-third of the new schools are outperforming their neighborhood counterparts; one-third are identical in performance; the rest do worse. A Tribune analysis shows that in Renaissance 2010 elementary schools, an average of 66.7 percent of students passed the 2009 Illinois Standards Achievement Test, identical to the district rate. The Ren10 high school passing rate was slightly lower on state tests than the district as a whole -- 20.5 percent compared with 22.8 percent. But it's identical at 17.6 percent when selective enrollment schools, where students test to get in, are removed from the equation. Only a quarter of Renaissance 2010 schools had test scores high enough to meet the federal goals set by No Child Left Behind, the signature education policy of the George W. Bush administration. Chicago students as a whole still post some of the lowest test scores on national math and reading exams. A series of studies released last year paints an unimpressive picture of Renaissance 2010. One report, commissioned by the Renaissance Schools Fund, found that children in the fund-supported schools had low academic performance and posted test score gains identical to students in the nearby neighborhood schools. "The Renaissance Schools Fund-supported schools will need to rapidly accelerate the academic performance of their students if they are to realize their own expectations," researchers wrote. Phyllis Lockett, president of the fund, said their most recent analysis was more encouraging. Using test data not yet publicly available, the study found that pass rates in their schools are now 4 percentage points higher than those in comparable neighborhood schools. "It's not like we are ready to cheer and scream success," Lockett said. "Our schools are doing very well but we've got to raise the bar. It's not good enough to 'just be better than the neighborhood schools.' But with the complexity of opening a new school, that's a good early goal." Opening new innovative schools was only half of the Renaissance 2010 strategy. Closing the lowest performers was the other component -- and nothing created more disruption to the city's educational landscape. Even in schools with single-digit pass rates, violence-filled hallways and embarrassing absentee patterns, parents picketed the streets and filled the school board chambers, begging that their schools be left alone. But Duncan stood his ground and closed schools. The migration of teenagers across racial, cultural and gang boundaries burdened a high school system already struggling to educate students. Violence escalated. Some point to the 2005 closing of Carver High School as the flash point for the September death of Derrion Albert, the 16-year-old Fenger High School student who was beaten, kicked and smashed with large planks of wood about a half-mile from school. District officials converted Carver into a military academy, sending teenagers to other schools, including Fenger. The two groups never got along and tempers flared inside and outside the school, culminating with the beating caught on videotape. The academic outcomes of the displaced students wasn't any better. A report, issued in October by the Chicago Consortium on School Research at the University of Chicago, found that students from closed schools landed, for the most part, at campuses that were just as bad and then progressed at the same predictably low levels. One positive outcome: students who ended up in higher-performing schools made more academic progress. Duncan, pained by the increased violence, embraced a new strategy in 2006. Known as the "turnaround," it replaces the school principal and teachers with more effective educators, but leaves the children in place. The Academy for Urban School Leadership has transformed eight schools under this model. Three of the four elementary schools that have at least two years of test scores have seen an uptick in results. At Harvard School for Excellence in Englewood, for example, pass rates increased from 32 percent to 56 percent since the private, nonprofit group took over two years ago. Principal Andre Cowling, a former Army captain who served in the first Gulf War, attributes the progress to a razor-sharp focus on data, parent outreach, teacher training and a culture of safety and learning. "Before they took over it was like World War III inside the school, fights everywhere," said Wanda Wilburn, who has three children at Harvard. "But they came in and stretched their hands out to us. Our kids are learning now." Despite the program's mixed reviews, Daley promised this month to push forward and expand Renaissance 2010. Huberman cautions against tossing out the entire strategy, a reflex typical in education reform. Instead, he plans to promote the components that work and get rid of the ones that don't -- even if that means closing down underperforming Renaissance 2010 charter schools, he said. Huberman has promised that students displaced by school closings will be guaranteed spots in higher performing schools and will be assigned staff members to help them adjust to their new schools. He told the Tribune on Friday that he also will set aside coveted spots in magnet schools to accommodate them. Huberman also promised to devise safe passage plans to make sure children can get to their new schools safely. "The first phase of Renaissance 2010 was the organic part of a brand-new reform," he said. "In the second phase, we need to put our energy behind the proven factors that work and drive them hard. If we had not gone through stage one -- as painful as it might have been -- we could not get to stage two." and the water? Where are the ships? Where are the airdrops? to war with anyone it pleases. war is also an instrument of peace. where will the money to rebuild Haiti come from? two senseless wars? Lest we kid ourselves, wars are hyper-expensive. permits racial profiling and police to act as hunter battalions. survive as a crime? Illegal aliens, indeed! This is concerning. We all need to pay more attention to our children's media usage. You can't help but wonder how it affects their comportment, their manners. It seems that the world of students and adults grows wider between them with such distractions that adults have, too. The amount of time young people spend consuming media has ballooned with around-the-clock access and mobile devices that function practically as appendages, according to a new report. A few years ago, the same researchers thought that teens and tweens were consuming about as much media as humanly possible in the hours available. But somehow, young people have found a way to pack in even more. In the last five years, the time that America's 8- to 18-year-olds spend watching TV, playing video games and using a computer for entertainment has risen by 1 hour, 17 minutes a day, the Kaiser Family Foundation said. Young people now devote an average of 7 hours, 38 minutes to daily media use, or about 53 hours a week — more than a full-time job. "What surprised me the most is the sheer amount of media content coming into their lives each day," said Kaiser's Vicky Rideout, who directed the study. "When you step back and look at the big picture, it's a little overwhelming." The numbers zoom even higher if you consider kids' multitasking — such as listening to music while on the computer. Those data show young people are marinating in media for what amounts to 10 hours, 45 minutes a day — an increase of almost 2.25 hours since 2004. The report, "Generation M2: Media in the Lives of 8- to 18-year-olds," is based on a survey of more than 2,000 students nationwide. It is the third wave of the nonprofit's ongoing look at children's media use, providing a glimpse at current viewing and listening patterns while also documenting changes from five and 10 years ago. The huge increase since 2004 can be attributed to the transformation of the cell phone into a content delivery device, Rideout said. "Kids are spending more time using their phone to play video games, watch TV and listen to music than to actually talk on them," she said. And, of course, the last time Kaiser took the nation's temperature, social networking sites barely existed. "The average day for me, if I am not at work, I will text all day or be on MySpace or Facebook," said Felinda Seymore, 17, of Waukegan. "That's my life." On Sunday, for instance, she fiddled around online from 9 p.m. to 2 a.m., updating her status and commenting on her friends' pages, she said. "My mom thinks it's too much technology," Seymore said. "She says back in her day, they didn't have that stuff. I feel like it helps us open up and learn new things ... instead of sitting around at home being bored." Media consumption is even heavier in minority families such as Seymore's — a trend unaffected by a child's age, socioeconomic status or parents' education. African-American and Hispanic youths favor TV over mobile devices, posting nearly six hours of tube time a day compared with 3.5 hours for their white counterparts. Parents aren't helpless to limit the intake, the study found. When parents impose limits, they work, with their offspring tallying nearly three hours less exposure a day. But only 30 percent impose some kind of parameters, the study found. It's not easy playing electronic cop, but the stakes are too high, said Becky Kirsh, who has been known to pack up the remote controls and bring them with her to work. With four kids, three computers and assorted cell phones, TVs and video games, Kirsh and her husband struggle to keep media from seeping into every corner of their Lombard home. "The bottom line is that this is my house," she said. "There's so much that is positive about old-fashioned family life ... and I'm just not willing to give that up to technology." She offered one example of how gadgetry can alter relationships with her four children, who range in age from 9 to 15. In a simpler time, the car was an ideal place for heart-to-heart chats (captive audience, no eye contact). But when her kids go right to their cell phones or immediately retreat into their headphones in the car, "it's no different than if they were in their bedrooms, with the door closed," said Kirsh, an educational coordinator at a local church. "That's when I really put my foot down." Right now, the biggest tussle is with her 15-year-old son over texting — a practice Kaiser didn't include separately in its count of media use, but parents often file under the same category. The Kirshes have responded by building in some restraints, including a limit of 2,500 texts and blocking any incoming messages from 7 to 9 p.m. (homework time) and after 11 p.m.
To most adults, a couple of thousand texts is tantamount to a blank check, but Joe Kirsh chafes under the allotment, saying it cramps his social life. "When I run out of texts, I can't make plans," he said, adding that there is no way to access messages that arrive after hours and that he is the only one of his friends to have such restrictions. "I get good grades ... so it's really not fair." When it comes to report cards, the Kaiser report finds a difference between heavy and light media users, though researchers note that they haven't determined cause and effect. Nearly half of all heavy media users, those who consume more than 16 hours a day (including time spent multitasking), say they usually get "fair or poor" grades compared with about a quarter of light users (less than 3 hours). Certainly, part of managing the media landscape means parents need to be savvy about everything from age-appropriate content to V-chips. But it's not just about more government regulations and stronger locks, Rideout said. Adults also need to look at their own behavior. Do they put a computer in every bedroom? Is the TV on during dinner? Are Mom and Dad tethered to their own BlackBerrys? "Really, parents make choices about the media environment every day, Rideout said. "We hope these findings will allow them to look at what goes on in their own families ... and talk about it." What to do with unruly students? Fix or Replace Federal Education Policy?